Following on from my previous post on getting started with the Kanban Control from Syncfusion, we’re going to have a look at customizing the kanban card template, binding the tap event on the card to execute a command and binding the card to a custom model. Disclaimer: As of this writing, there are rendering issues with the Windows UWP implementation. A support ticket has be lodged with Syncfusion and it should be resolved with the next iterative release. In the previous post, we used a KanbanModel to bind against. But you’re free to bind against any object, so long as the properties fire a NotifyPropertyChange event (class must implement the INotifyPropertyChange interface). In the custom example, I’m using the CustomModel class, which inherits from the BindableBase class that comes out the box with the Prism.Core nuget package. If you’re accustomed to any XAML technology, then customizing the kanban card should be familiar. The idea is that you supply a custom user control to act as a template when rendering the items for the bound collection. For a sample of a custom user control, check out the CustomCard.xaml user control in the source code. The only significant thing to note is the root element is a ContentView. It’s a common scenario that you want to perform a certain action when the user taps in a card. Currently there is no TapItemCommand property on the SfKanban control, but you can achieve the same thing by implementing a behavior. The KanbanItemTappedToCommandBehavior can be found here. Basically it takes the ItemTapped event from the card, and executes the command when the event fires. Xamarin Forms and Syncfusion Xamarin Controls are a great combination to get great looking cross platform native mobile apps while using a mostly shared code base. Nuget packages for syncfusion controls can be found here – keep in mind you need a license to be able to use them. Luckily if you’re a hobbyist developer or a company with less than five people, you can get a community license which is FREE! Okay – time to get started. I’m going to assume you already set up a Xamarin Forms wireframe app – check out the quick start above for details on how to get that up and running. 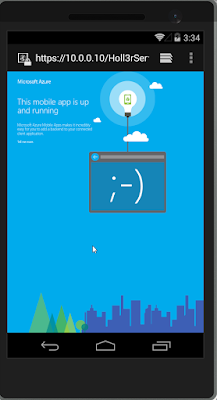 Usually a new Xamarin Forms project adds Windows Phone variant projects. I tend to stick with UWP only for windows, since this is generally more actively supported by control suites. To get access to the syncfusion nugets, setup a new nuget package source that points to the syncfusion nuget location. Take note of the Category property, as this is going to be used by the control to know in which swim lane to place the kanban card. This is done in code behind, but you could just as easily bind these to ViewModel properties in XAML. … and that should be it. Download the source code and give it a test drive. Opening up another page when a card gets tapped using a command. Xamarin Forms is a great way to implement cross platform fully native mobile apps, but when developing these apps, there’s still a gap ito components needed to fill out the functionality. These gaps typically fall into two areas: Platform Services (Camera / GPS / Maps / Settings etc.) and UI Components. The Xamarin Plugins are a great resource for the former. There are a few resources for the latter, but I have found the Syncfusion Xamarin Control Suite to be the most helpful. The syncfusion xamarin samples seem to be a little sparse, so I thought I’d share an example implementation here. For more in-depth syncfusion pdf documentation, have a look here. There’s quite a bit more pdf capability that they provide than what is covered here. This post will cover a basic scenario of generating a pdf document from invoice information using the syncfusion pdf component for Xamarin. Source code for this post can be found here. If you’re looking for the detail, check out the github repo – we’ll cover the basic outlines here of what’s necessary. In the case of the sample code, I’ve created a GenerateInvoiceContext class – which mostly houses the Invoice from which to generate the pdf from. All the information that you require to generate the pdf needs to be contained in this class. Note that you don’t need to wrap the logic in a command – this is just my personal preference for keeping the code clean. Generally, you need to add elements to the pdf document using a top-down approach, keeping track of the Y-position in order to make sure that each element is placed correctly in reference to the previously added element. I found it useful to prefer the methods on the syncfusion pdf component that return a PdfLayoutResult – this helps in creating a reference for where the bounds of the next generated controls needs to be. An example of the android implementation can be found here. The xamarin syncfusion components are pretty handy, and in my experience the support I’ve received from them has been exceptional. The best part though, is that all of it is available for FREE – if you’re a single developer or a small business. Check out the community license here. As someone who has a side project that he hopes to turn into a business one day – it’s these kinds of licensing models which are really helpful – thanks syncfusion! Get started with writing TypeScript today! 101 Setup, configure and work with GIT VSTS Build and Release. Needed this for one of my home projects. The project is a portable class library - so should work just as well for your Xamarin projects. Follow the steps as outlined here. On the Default Web site, create an ssl binding, using the certificate created in 1. Basically - as far as I can make out - because the emulator is running on virtual machine, you need to open up your the port that it's communicating on to your machine for https calls. Check out this article for more details on IIS Express and opening up a port. Click "Inbound Rules" , and then "New Rule"
Leave default of "allow connection"
COMPARING ANGULAR, AURELIA AND REACT: IS THERE A NEXT-GEN JS FRAMEWORK THAT RULES THEM ALL? Creating an Animated Accordion Control with Xamarin Forms.